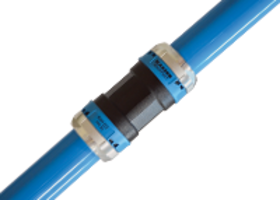 SmartPipe+™ Piping System features low coefficient of friction. SmartPipe+™ Aluminum Piping System is available in sizes from ¾ in. 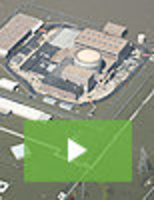 to 2-½ in. and is used for headers and branch lines. 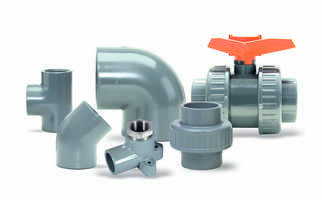 Designed with leak-free connectors and full bore fittings, system can be integrated into steel, copper, or aluminum systems. 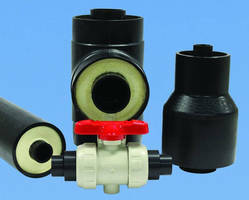 SmartPipe+™ is made from lightweight materials and simple compression style connections. Custom Riser Assemblies can be made to suit any application. Pre-Insulated Piping System efficiently handles chilled media. 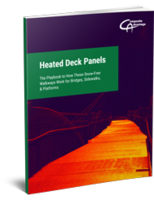 High-Temp Flexible Line Pipe handles continuous service at 180°F. CPVC Piping meets ASTM D1784, Cell Classification 24448. 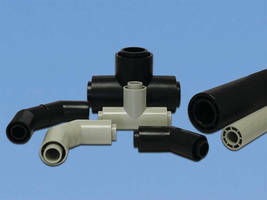 Corrosive Waste Piping Systems use molded 45° Wye fittings. Flexible Line Pipe comes in 8 in. version.